You’ve heard time and again that diabetes can cause eye complications like cataracts, retinopathy, and glaucoma. If you worry about these problems and the potential for significant vision loss or blindness, you’re not alone. In fact, a 2006 survey commissioned by the Lions Club and Eli Lily & Company found that 41 percent of people with diabetes in the United States cited vision loss as their biggest fear. When you consider that premature death was cited as the major concern by only 16 percent of these participants, you begin to see just how big an issue vision loss is – and with good reason. Play the numbers game. The better you manage your blood sugar, blood pressure, and other important numbers, the better your eyes fare. Prevention is paramount. 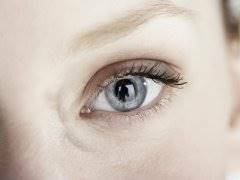 Many eye complications lack noticeable symptoms until the condition has advanced. Proper annual screening is your best weapon. Treat your eyes right. Try to wear sunglasses when you’re outdoors or driving, and pay attention to eye strain. If you’re squinting often or have trouble reading or looking at things clearly, make an appointment with your eye specialist as soon as possible. In the United States, diabetes is the leading cause of blindness among working adults. Even people with diabetes who had no reported eye damage or vision problems reported being concerned over the ability to perform activities like driving (65 percent) or reading (61 percent). Also at stake are the emotional components of vision loss, which can range from frustration over loss of independence to loneliness or depression as a result of decreased social engagement and productivity. While this information is sobering, it’s important to remember that these outcomes are not inevitable. The American Diabetes Association stresses the fact that most people with eye problems have minor ones, and should minor problems grow into something more serious, there are many effective treatments available. It’s important to understand the risks of complications as well as the complications themselves. People with diabetes are 40 percent more likely to develop glaucoma than people who without diabetes, and that risk grows with age. Vision loss occurs when pressure builds up in the eye and pinches the blood vessels that carry blood to the retina and optic nerve. There are medications that help relieve the pressure in the eye as well as surgical options for treating glaucoma. While cataracts – a condition where the eye’s lens becomes cloudy – are fairly common in the general population, people with diabetes are 60 percent more likely to develop them. For mild cases, wearing sunglasses with glare-control lenses helps, but more advanced cases can require the removal of the affected lens and the transplant of a new, healthy lens. Retinopathy is the third complication worth understanding. Non-proliferative retinopathy is the most common type, and it occurs when capillaries behind the eyes balloon and form pouches. There are three stages – mild, moderate and severe – but vision loss doesn’t usually happen unless the capillaries break down enough to cause fluid to leak into the eye’s macula. If macular edema (swelling) develops, treatments are available that can stop and sometimes reverse loss of vision. Proliferative retinopathy is a more serious condition wherein blood vessels become so damaged they close off altogether. The new blood vessels that form are weak and leak blood, sometimes causing a build-up of scar tissue. There are several different treatments available for diabetic retinopathy, but the earlier you catch its development, the better your outcome. Just as you’ve heard about these risks many times, you’ve likely heard what you can do to help prevent these complications from developing – practice good diabetes self-care and stay on top of your routine eye exams, something that was also underscored in the 2006 study.